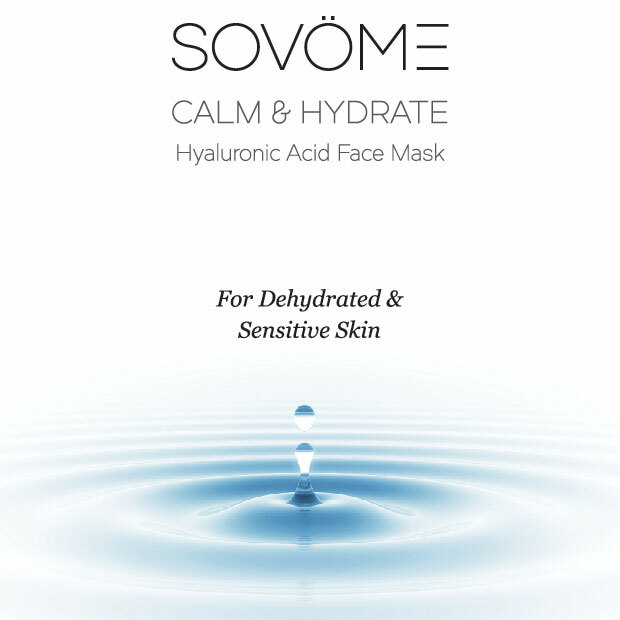 SOVOME Calm & Hydrate Hyaluronic Acid Face Mask is an ultrathin fibre sheet face mask that moulds to facial contours well, and contains a high concentration of hyaluronic acid, the most powerful moisturiser nature has to offer. A potent cocktail of peptides and antioxidants helps to soothe and calm sensitive and dehydrated skin types. Utmost care has been taken to ensure there are no harsh preservatives or artificial fragrances. Cleanse skin, remove mask from package and unfold. 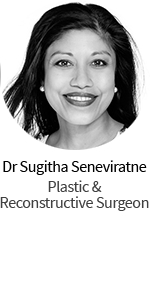 Smoother over facial contours and leave-on for 15-20 min. Remove and rinse off, apply usual skin care routine. 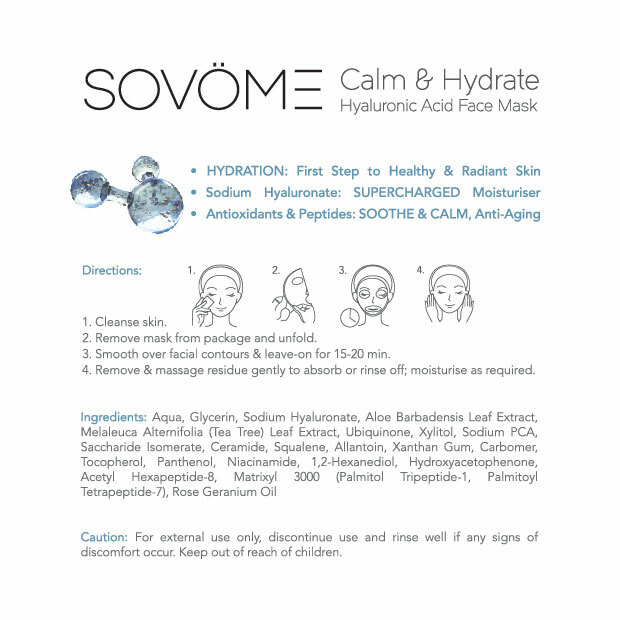 The Sovöme Calm and Hydrate face mask is by far one of the best masks I have tried. It smells divine and soaks beautifully into the skin without leaving any grease or residue after massaging in as directed. I left my mask on for the full 20mins. 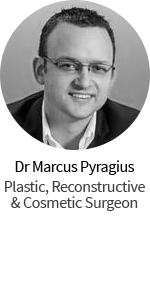 My skin was left soft and silky and the effects were ongoing for days after. As an added bonus there was such a generous amount of product that I was able to use the excess from the mask and packaging on my neck and body. I will find it difficult to go back to any other brand after trying this. It is perfect for my at times dry and very sensitive skin! I love this mask – it feels so soothing and doesn’t irritate my face or make my skin red like many other masks I’ve tried. After using the SOVOME mask, fine lines and wrinkles are diminished and my face feels so smooth and soft! There’s no need to apply any moisturiser after removing the mask either – I just massage in the remaining gel and let it absorb into my skin. Mask you just rub in the residue -my skin has been feeling fantastic and looking great. Wow wow wow! I used this mask for the first time last night. Applied as directed and massaged the excess gel into my face and then slept. I woke up this morning looking like I got a full night sleep (I have a baby haha). My skin is radiant. This is a definite product I will keep using!